Sitting in the sun at the terrace of a café in France, you are ready to have an authentic French breakfast – a café au lait served with fresh croissants. Stop right there before you look like a fool ordering it. There is no question about it: café au lait remains a favorite of French people to start their day, but strictly in the intimacy of their homes. A Little Milk in Your Coffee? Coffee arrived in Europe from the Orient. The Arab word qahwah became kahve in Turkey, kawa in Polish, koffie in Dutch, kawe in Hungarian. The word café was born. 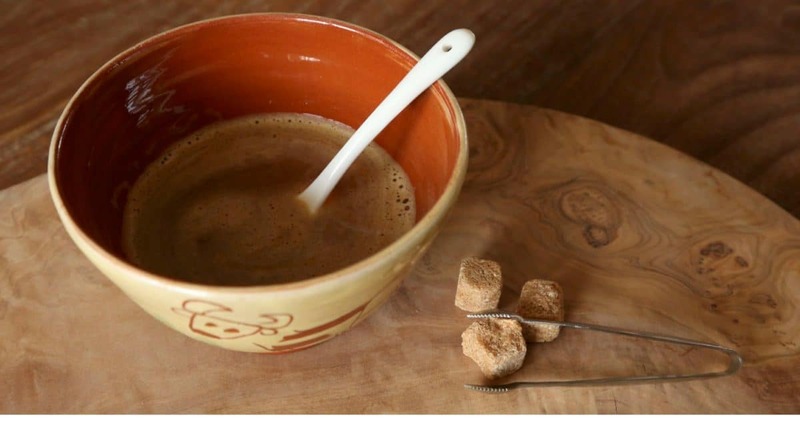 Coffee first appeared in France in XVII century and transformed the food landscape of this era. Travelers, merchants, traders, vessels’ captains knowledgeable of the ways of the East became the initiators of this new drink in Europe and of its practice, importing the coffee beans as well as the utencils necessary to its making. It first landed in Marseille, a major French port, then made its way to Paris and to the French court. In 1671, the first café opened its doors in Marseille. In 1723, 380 cafés were listed in the «Dictionnaire Universel de Commerce» from Jacques Savary in Paris. Private consumption came later. The passion for coffee had taken over France. By the XVIII century, the French adapted the taste of coffee to reduce the strength and concentration of the beverage. Quickly, they added water, milk, and sugar. The café au lait turned into an absolute rage. Everyone wanted a cup of café au lait for breakfast. The gourmet would warm up half a liter milk then add 40 grams of coffee powder, boil it for half an hour, then let it set for ten hours. You’d better be patient! Before serving, it was heated up in a bain-marie. 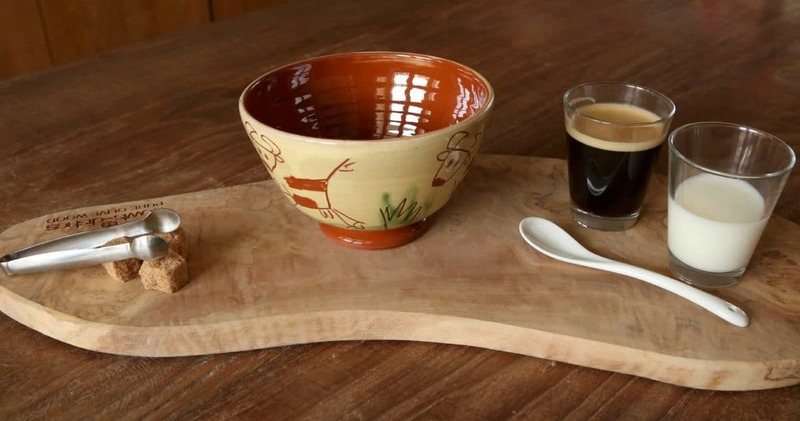 At the start of the XIX century, coffee with added milk was essential and its usage widely spread in France. In Paris, the smooth and rich scent of coffee invaded every corner of the French capital. Forget about ordering a café au lait in a French Café. A café crème or Grand café crème is the closest you can get. 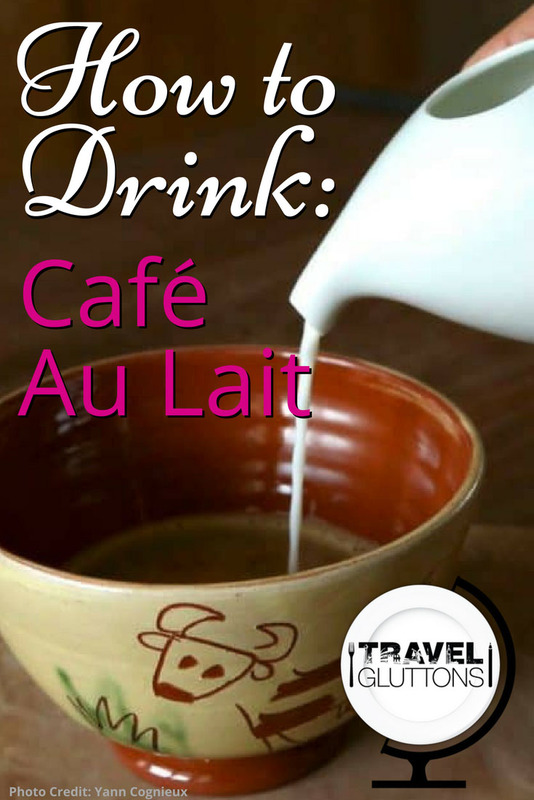 A café au lait is made with dark brewed coffee and hot milk. Don’t mistake it for a cappuccino. 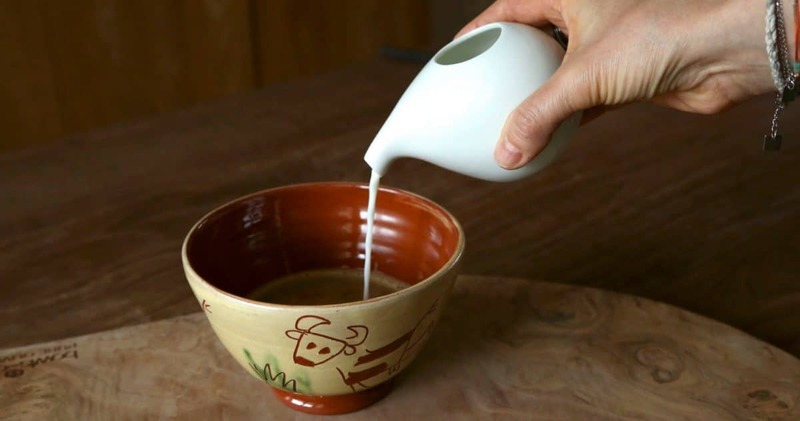 Make a strong coffee using a filtered coffee machine, warm up the whole milk, pour the milk and coffee at the same time in a large cup or bowl. The proper proportion is one third coffee, two third milk. It is served in a bol or bowl. Hold the bowl with both hands to drink it just like the French do. It is traditionally drunk for breakfast. Add ice cubes for a café au lait glacé. In New Orleans, a café au lait Nouvelle-Orleans is a beverage with half coffee and half chicory and hot milk – a créole version, made famous by the Café du Monde served with beignets in the French quarter since 1862. 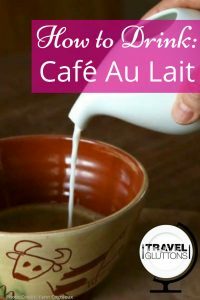 Café au Lait or Café Latte? 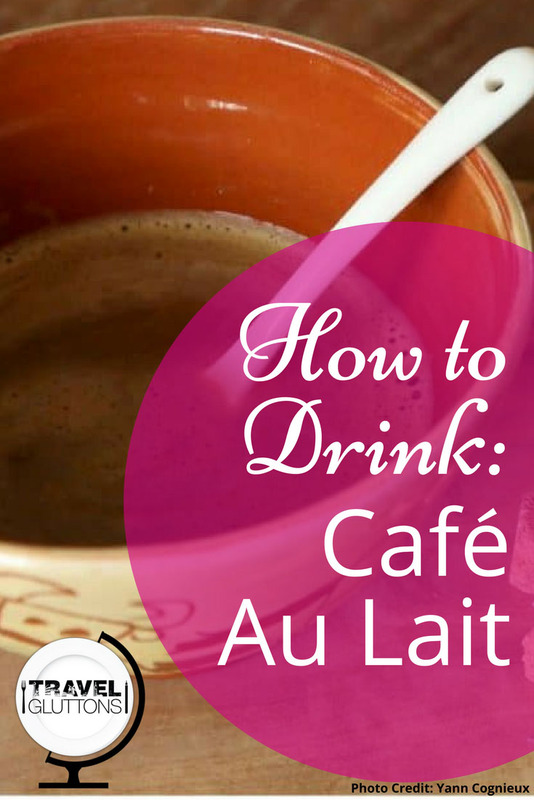 I won’t say it enough: café au lait is not a cappuccino or a café latte. Café crème is an espresso with steamed milk. For a double, order a Grand café crème. It is the closest to café au lait. A café noisette (nut coffee) is an espresso with a spot of cream, much like a macchiato in Italy. Its name comes from the word noisette meaning hazelnut due to its lovely color. A café latte is an espresso with added hot milk. A cappuccino is an espresso with milk heated until it becomes an unctuous foam served in a large cup. The rage over coffee around the world is not finished. Many trends are taking over the social media channels: tumeric latte, golden coffee, coffee in a cone, nitro coffee. What will be yours? A salted caramel café au lait, may be? Un café s’il vous plait! 10 Responses to "How To Drink: Café au Lait"
I’m not a coffee person but your blog is making me want one now ? (in those gorgeous bols). Thank you for the great read! I enjoyed the cafe au laits in New Orleans when I visited there. Great information in this post. I love anything caffeine related. You had me at ‘Sitting in the sun at the terrace of a café in France’… the café au lait served and croissants makes this sound like heaven! I’m not much of a coffee drinker, but cafe au lait is great! I had it in New Orleans a few years ago. Now I want a cafe au lait and some good beignets too!